New Farkles – Some for FUN some we need! It’s always fun when you get a new bike and get to buy some big-ticket items but sometimes it’s the little less expensive farkles that make your bike your own. Having owned BMW’s before, two ’10 F650GS’s, we have learned from our first time out of the gate what we want, need and who we want to buy from as in dealers/suppliers. The good news there are accessories for these bikes all over the place and so many choices and price ranges. 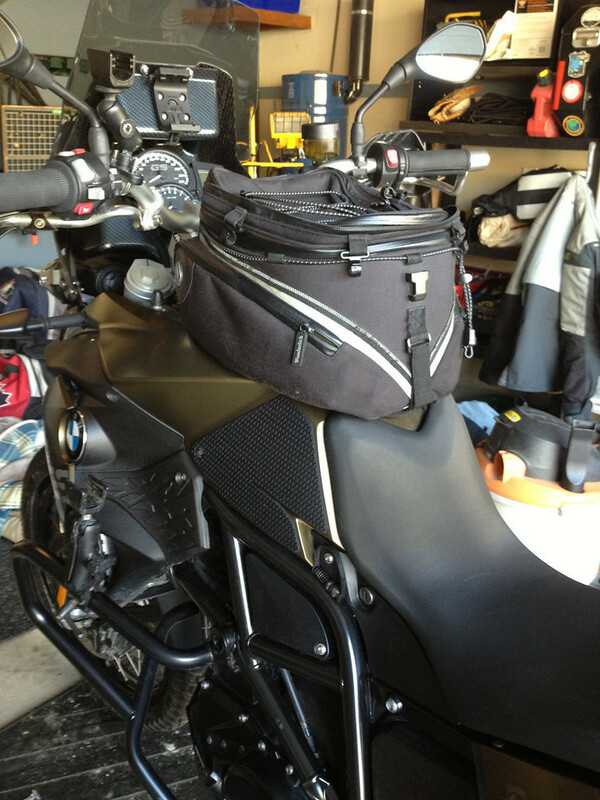 I do most of the research for what goes on the bikes and Cheryl of course installs it all. Recently, we have been on a AltRider kick. Why? Well, the do make some great products like our crash bars, head light protector and rad guard but I have to say they ship so fast to Canada I can often get my order faster than I can ride down to my dealer here in BC. We pick and choose where and when we buy accessories/farkles based on impulse 😉 or as we can afford them. Last time on our 650’s we had Fastway pegs. Nice wide platform but we found them to rust. Also, the cleats came out even though we used loctite. 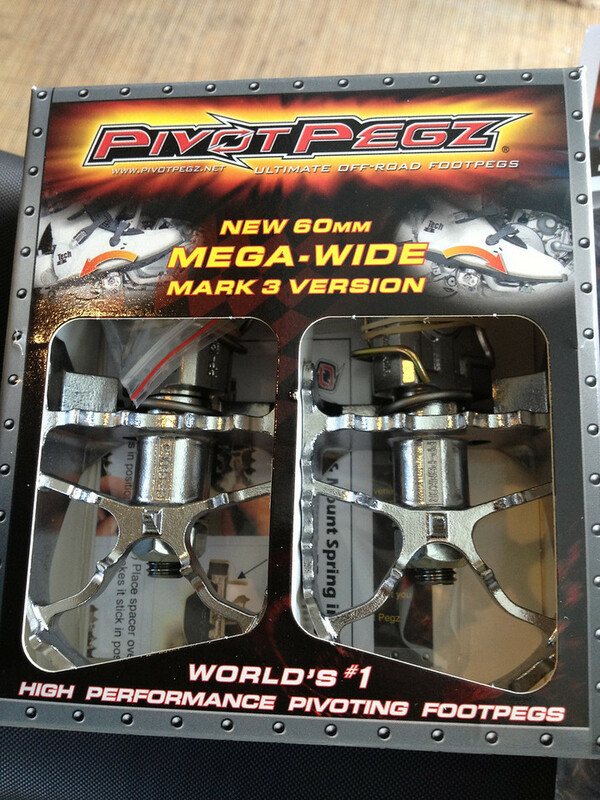 So, this time around we are going with Pivot Pegz that we got from AltRider. I am really looking forward to riding with these especially off-road. Many many places sell these and again we bought from our neighbours from the south because of their excellent customer service and speedy shipping. 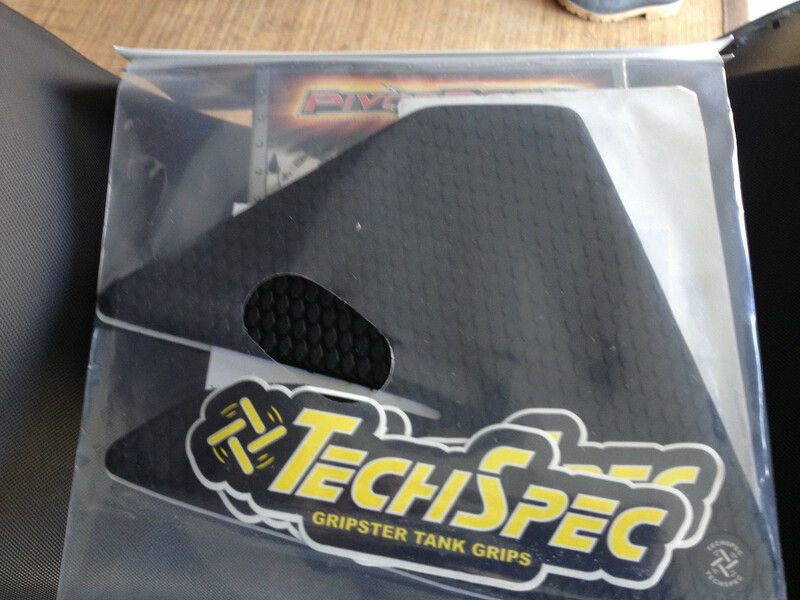 Cheryl isn’t into covering her bike up but I love these little inexpensive gripsters. Maybe they help with gripping the tank while going up or down a dirt road hill maybe not. 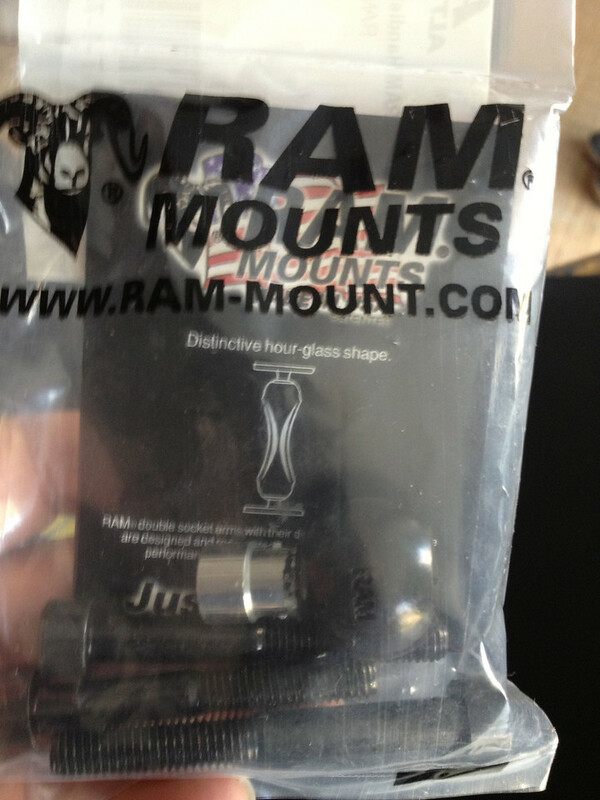 I bought them because I like they way they look and that’s it…if they add some stability to my riding…GREAT! 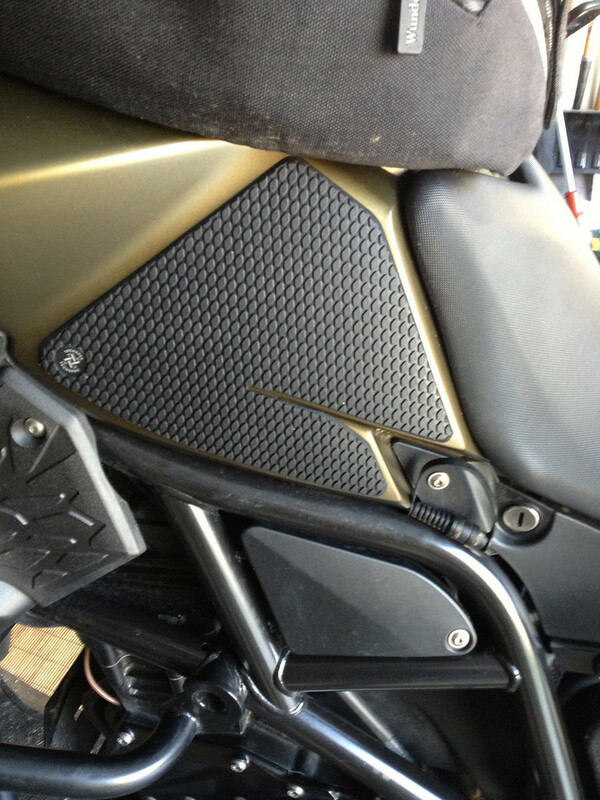 I am always looking for more ways to add mounts and I had these on my 650. Just replace the bolts in my risers and add the ball and it makes for a great location for my SPOT CONNECT device. Also, can add a camera here and so on. Very useful for me. 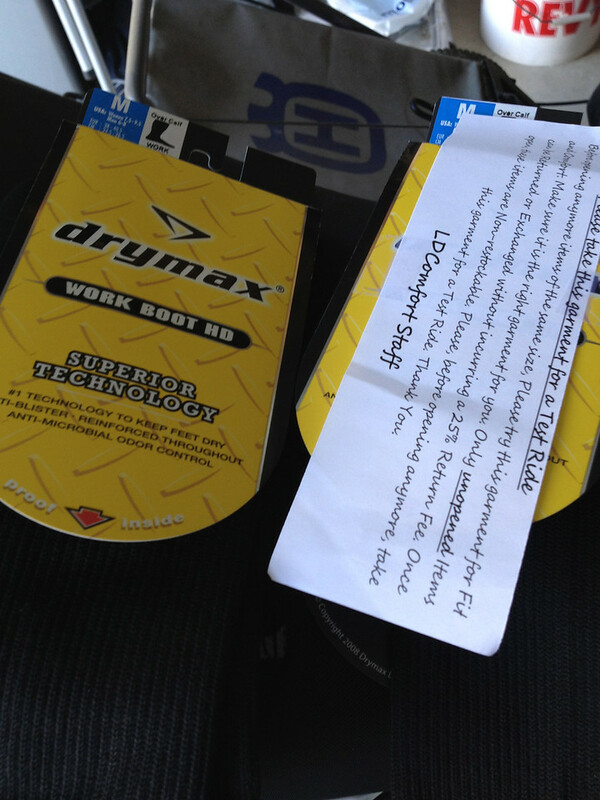 Last addition is a new pair of drymax socks for summer Spring/Summer riding. Wicks sweat away and easy to wash while on the road. We have KLIM winter/summer socks, awesome and a variety of other above shin and below socks as well. I like the BMW summer sock but I also like any socks that are comfy and wicks. We got these from LDComfort. We wear their under gear too for years. Easy to wash on the road…easy to care for and also if you follow their directions you can wear their base layer in HOT weather. We listen to them and can ride in extreme heat. Granted we also have an inexpensive cooling vest to help but rarely change our base layer. How to use the LDComfort Shirt as a cooling device. Only allow cold air to enter the body of the jacket. You make this cold air by wetting the LDComfort shirt. 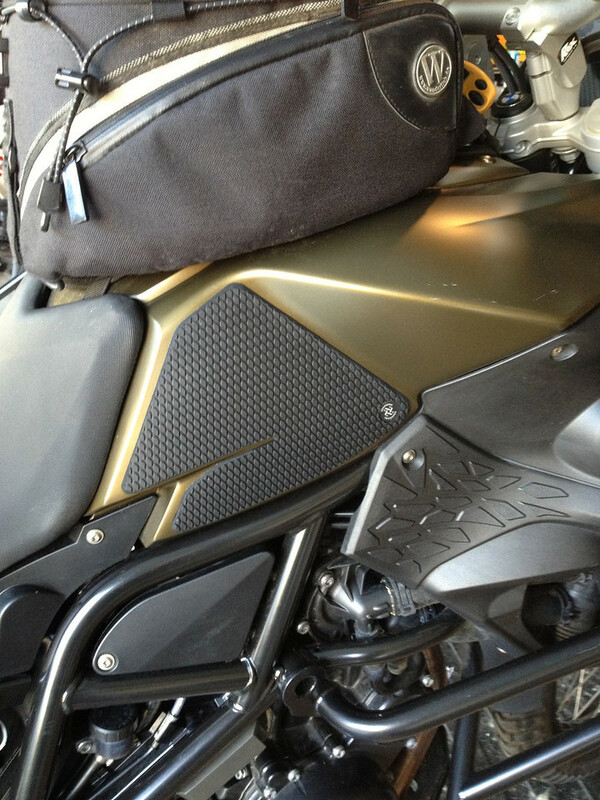 When you are riding your motorcycle you have 65 mile an hour forced air at your finger tips. Use this to push air up the sleeves and into the jacket. Evaporation happens in the sleeves and this now cold air is funneled into the jacket. The cold air cools the water you have added to the neck, front and back of the LDComfort shirt. You are now wrapped in cool water and can ride like this for a number of miles before you need more cold air. Do not open the vents in the jacket as that will allow the cold air to escape. The only place you need for warm air to escape is the front zipper. Ride in this bubble of cold air and water and avoid the extreme heat on the outside of the jacket. There can be a 30 degree difference between the inside air and the outside air so be careful you do not run too much air up the sleeves. It is easy to chill yourself when it is only 95 degrees outside. This is the reason you only want to allow air up the sleeves as this is how you can control your temperature. To summarize: Wet the LDComfort long sleeve shirt; (especially the sleeves) close all vents in the outer jacket; open the sleeves of the jacket at the cuffs; put arm out in the air stream and funnel air up the sleeve and into the jacket; fill the jacket with cold air and ride in comfort. Repeat as needed. Note: The more air you run up the sleeves the sooner the sleeves will evaporate. Refresh with more water in the sleeves as needed. Remember: The water in the body of the shirt gets cooled by the cool air coming in from the sleeves. The sleeves get cold because of evaporation with water and airflow. Riding through 120 degrees in the Mojave Desert? No problem. That’s all for now…when Cheryl gets home end of this week and finds the time next post on these will be when they are installed. To be con’t…. 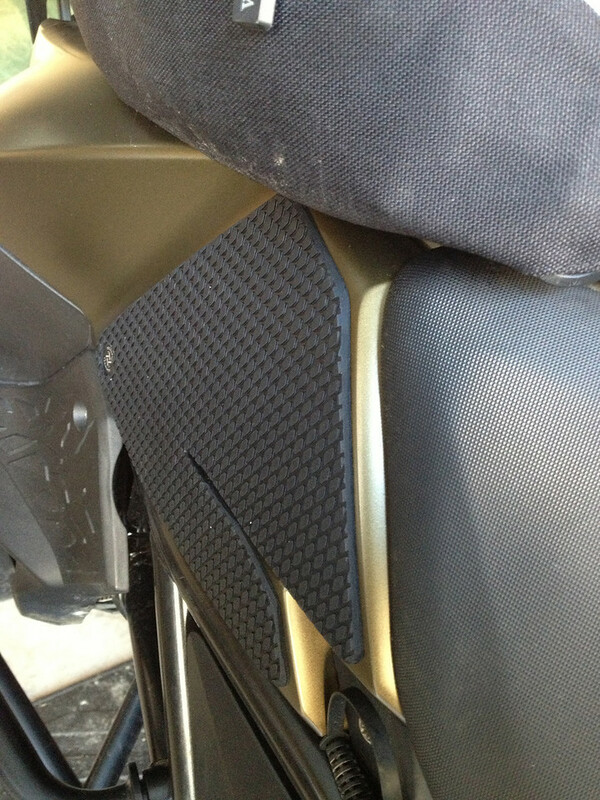 So do you have the AltRider radiator guard for the ’13 bike? If so, how was the install and the result?